The day after they opened Gatenbrink's Door, I woke up with the Freemason Symbol in my mind - which links with the Masonic Program of our Reality with ties to the Ancient Mystery School Teachings and priesthoods of Ancient Egypt and creation by the architectural blueprint of Sacred Geometry. I 'saw' the Star of David, which is a frequency linked with Merkaba - spiraling conscousness in and out of physical reality. Our reality is created by EM energy - Resistance is futile! Metaphors: 'The WiZard of OZ' - "There no place like Home"
completion - full circle - back to Z again! 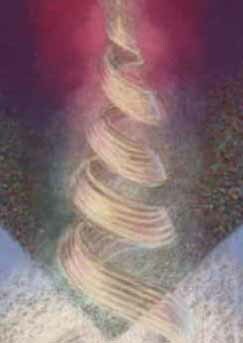 just as it is a higher frequency chakra - spins faster. color frequencies in hyperspace to be the frequency of future. The End Timecomes Out of the Blue. 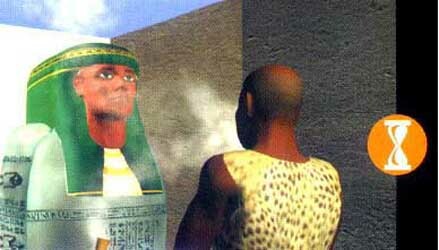 The Great Pyramid does not contain sarcophagi - statues - inscriptions by creators, etc. other than those placed there by humans. Everything about the Great Pyramid from its statistical design to its shape - is a metaphor of universal design - the blueprint. Its design is in perfect proportion based on the sacred geometry, which creates all and everything in our reality. 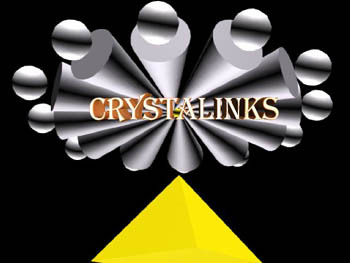 Creation is based on the geometry of 12 ethereal pyramids around one source of creation. The physical pyramid is like a time computer which holds the illusion/ hologram of third dimension, in place. The Great Pyramid a stone marker= 'stone' is a symbol for the Earth plane. 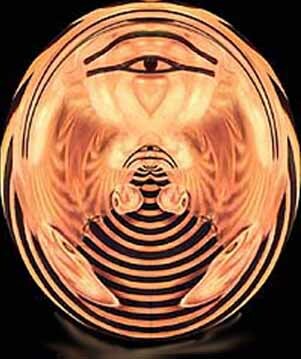 It equates to the third eye/ pineal gland in the brain - the center. Many quest for the Hall of Records - a Golden Capstone - along other hidden tunnels and passages in the Great Pyramid - and the Sphinx - all of which they hope will hold the Golden Key to our reality. This is about the quest to find the alchemy of time - the nature of one's creation - one's mission. It is part of the Game - Experience - which moves humanity forward. As creation is based on electromagnetic energy grids - polarity - duality - and a program on many levels of consciousness - the answers we seek are never physical. Encoded within the physical program are endless clues that are uncovered by archaeologists each year. 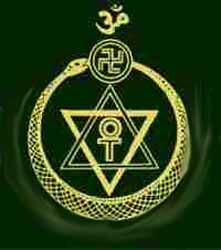 The ancient mysteries intrigue us and awaken something within our souls as we reawaken the secrets left behind by the ancient priests and keepers of the sacred knowledge. To chant in the Kings Chamber as I did on 12:12 at 12:12 - in 2000 - is to experience a higher harmonic - tones being the ultimate key to that which we seek. The physical structure of the Great Pyramid is just stones - not that impressive from the outside - yet it calls to many souls. The Great Pyramid allows us to wonder about ancient mysteries - Egyptians Gods and Goddesses - Thoth - Isis - Osiris - creation - and the triggers their mythological stories awaken within us - Return to Balance - Heal - Reunion of Soul - Quest. As we know we are awakening the feminine energies - or higher faster moving frequencies - the reality in which our consciousness is moving. 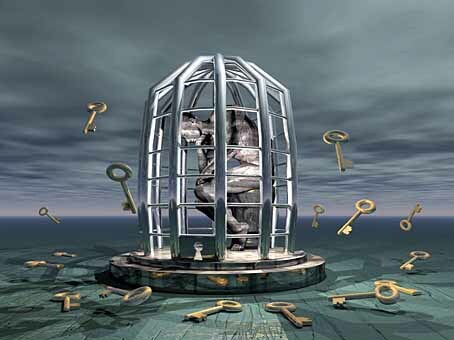 This takes the soul on a journey to the feminine frequency - Queen's Chamber - of the Great Pyramid. In one message I received - I was standing in front of what one might see as the creator - whom I have seen sitting on his throne - all of my life. He smiles at me - and often appears as Z! After some interesting temporal experiences mixed with synchronicities linked to my book Sarah and Alexander - He came down off his throne - walked over to me - carrying a cloak - and handed it to me. All other symbology is about reversal of energies; the year 2004 - the 'M' (man) reverses to become the 'W' = woman - a lady bug flying - a giant birthday cake for the planet surrounding with lady fingers - magnetic reversals - and more. Some people view time as escalating. It is not. 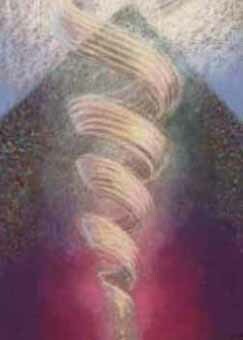 Our conscious awareness is moving up the slinky spiral - the higher - the faster frequencies move. It is also interesting that a Scarab visited me two weeks ago and sat on my terrace watching and waiting. How did it get there? - Where did it disappeared to? - More of the magic of the illusion! in December 2000, I did not feel a connection. its energies calling me home. Dogons----Sirius (Isis) ---->Orion (belt stars of Orion) God and Goddess - Isis and Osiris - talk about the supposed return of Nibiru in May 2003. More metaphors of the Game of Remembrance - with a few stone artifacts thrown in. Everything you will be attracted to now is about healing - creating balance - union of your soul aspects - As is above, So is below - stated by Thoth, the Scribe, who wrote the creational tale that we are experiencing - Emerald Tablets of Thoth - Hermes Trismegistus (thrice-born) - Hermes the Trickster (Magician) - Z's alter ego in this polarity. In the Atlantean grid program he is Tehuti. I was most impressed with the excavation of the Giza Plateau, by Mark Lehner and his team of archaeologists, over recent years. They are redefining the area as it once was - when the pyramid complex was built thousands of years ago. Everything - from the construction of the Great Pyramid - to the landscape of Egypt - was created following the patterns of creational geometry. It is what has always drawn people to this major grid point. The Giza Plateau and surrounding areas will always produce new evidence of ancient Egypt - brought forth in a never ending story to help humanity remember and spiral upward to rejoin that part of their souls waiting above. I enjoyed looking at the relief chamber. I was sorry I had missed it in 2000, but now that I see the grafitti - and the supposed inscriptions by Cheops - I no longer feel a need make this journey in person. The name Khufu - Cheops reminds me of an expression Z gave me long ago - Khufu's Folley - which in truth is about Khufu - Cheops - Hermes - filled with magic and trickery - as shown to me on December 12, 2000 when a light flashed for me on the far side of the Great Pyramid - then my pocket watch reappeared before Irene and I. It is all about the illusion of time. As I have stated over the past year - since speaking with Zahi - there would be nothing found behind the door. Any good remote viewer can tell you that. 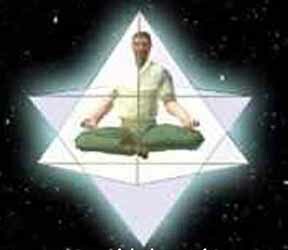 The pyramid is a journey into consciousness - a harmonic, if you will. 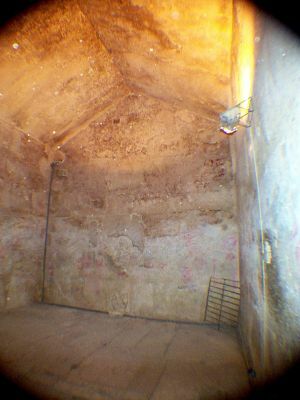 I have been in the Queen's Chamber and did not feel a connection to its energies - not sensed anything special about it - other than its locatiion based on geometry as an activator of human consciousness. In the physical pyramid - there are no secrets. The physical structure - above and below - has been explored. There will no surprises found. 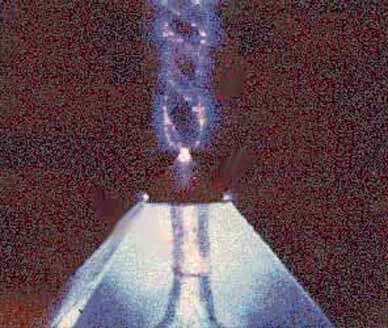 The pyramid stands at the center of the planet - as a reminded of the evolution of time and consciousness - 12 spiraling pyramids or cones around one - the place where it all began and where all comes full circle. 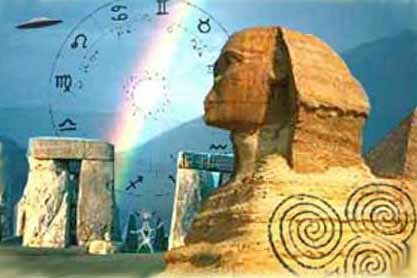 The Sphinx and Great Pyramid are stone markers - female and male. The Sphinx has had so many face lifts one can only wonder what it originally looked like in the Age of Leo - Leo - Lion - Crown - Omega - Endings - symbols of Zarathustra who was Thoth! As for the opening of Gatenbrink's Door - as I predicted - the shaft just continued on and on - not chambers. The Great Pyramid was not designed as a tomb - but as a power generated computer of sorts. Most souls are searchers by design - looking and waiting for something that is just beyond the next door. They can sense it - but they don't know what it is! Everyone will find out that hidden truth at the same time! Scientists exploring the Great Pyramid in Egypt sent a robot into the northern shaft in the past few days, discovering another blocking stone. 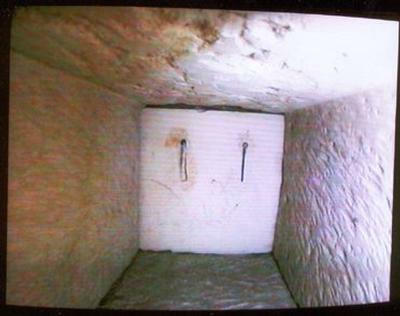 The "door" appears to be identical to the one in the southern shaft that was already known. The doors are equidistant (65 meters/208 feet) from the queen's chamber. It is the third such block discovered within the shafts of the pyramid. A specially developed combination of robotics, camera, and lighting technology developed by iRobot of Boston, yielded the new information. 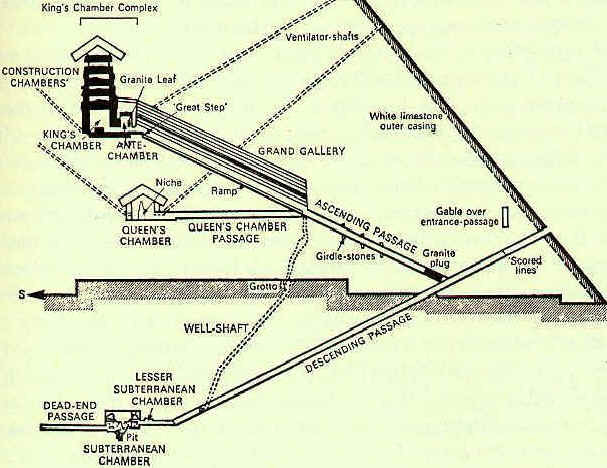 Until this discovery, no one knew that the northern shaft extended to the north as far as the southern shaft goes to the south. 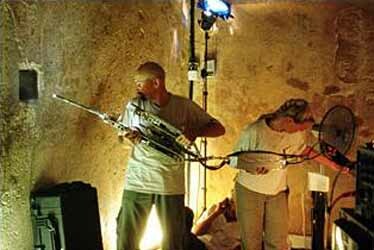 One has to wonder at the reasons for these shafts in the Great Pyramid. The initial theory was that they could have permitted air currents for laborers working beneath thousands of tons of stone. 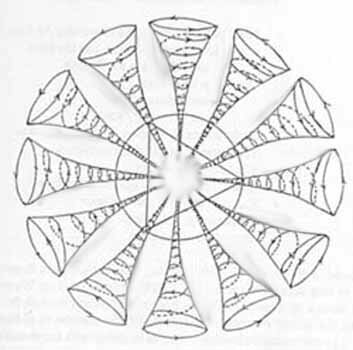 A different theory maintains that the shafts enhanced the ritual intoning of musical sounds; sounds passing over the shaft lip would produce what musicologists call the "Helmholz Effect" (named after German physicist Herman Helmholz), their natural acoustic frequency amplified to coincide with an excitation frequency. The days move quickly, as we perceive linear reality. Timeappears to be flying as planetary frequency increases. Temporal anomalies are more frequency. Many people feel they are in 'Waiting Mode' for an event they sense is not far away and linked to the evolution of consciousness. to open the doors to higher evolution. 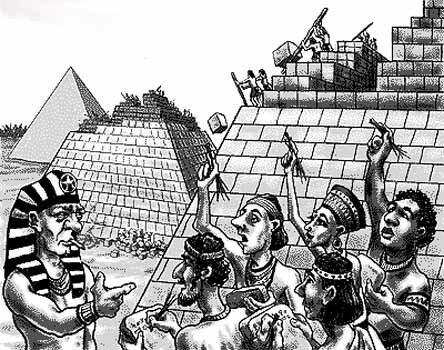 ancient times and the pyramid builders.